Maple sugaring is pretty much over for the year. All this warm weather spelled the end of the sap run. But the boiling’s not quite over. Today kicks off the annual Maple Open House Weekend at sugarhouses around the state. Sugar on snow may not be available, but other syrupy treats will be. 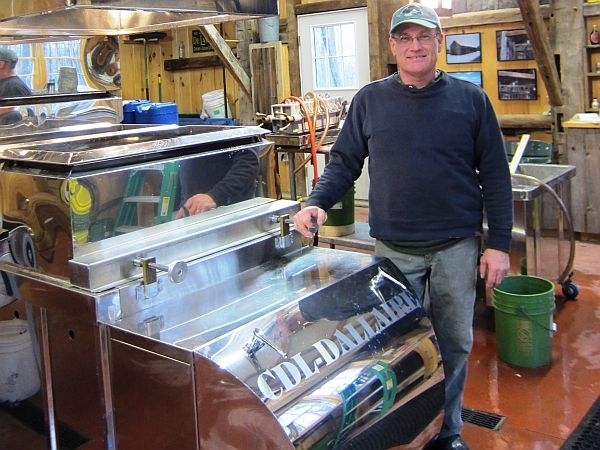 So before we say goodbye to maple for the season, here’s a story of how two of Vermont’s iconic industries-maple and dairying-came together in one man’s life.